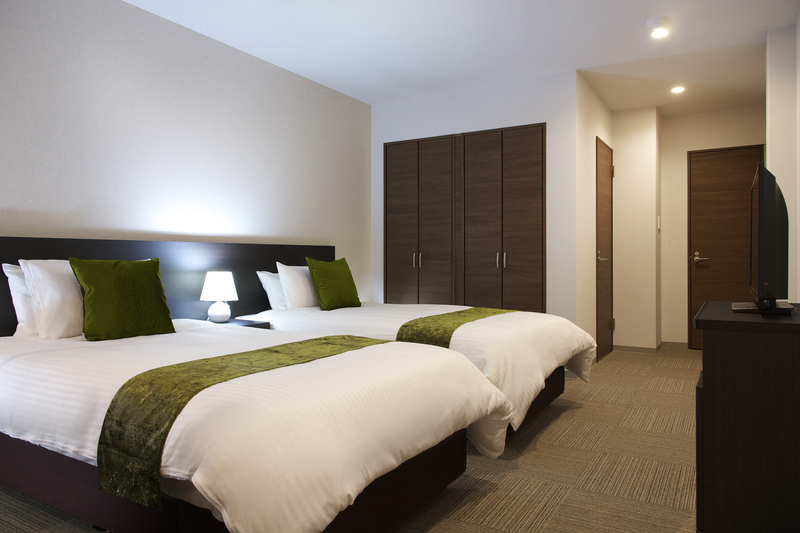 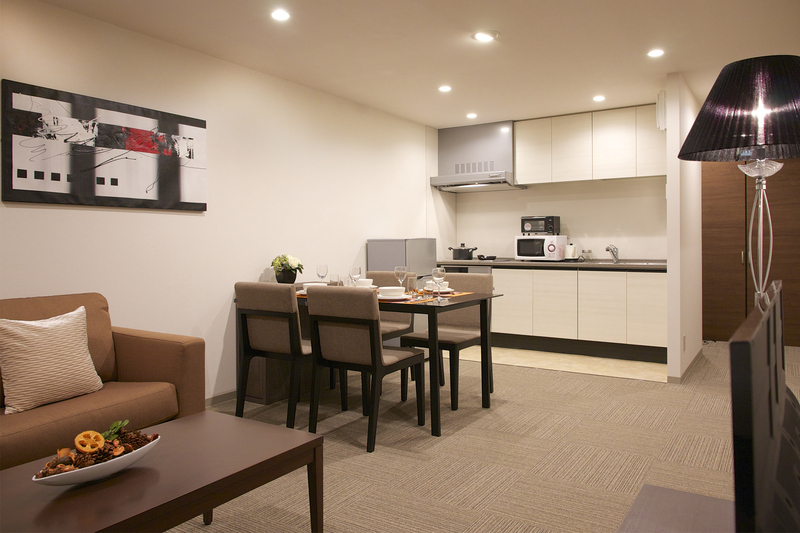 There are four one bedroom apartments which are suitable for couples and small families travelling to Hakuba. 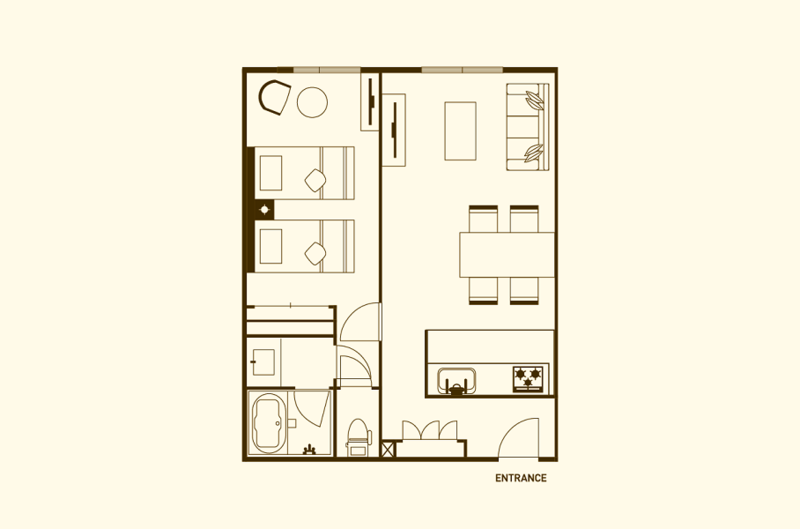 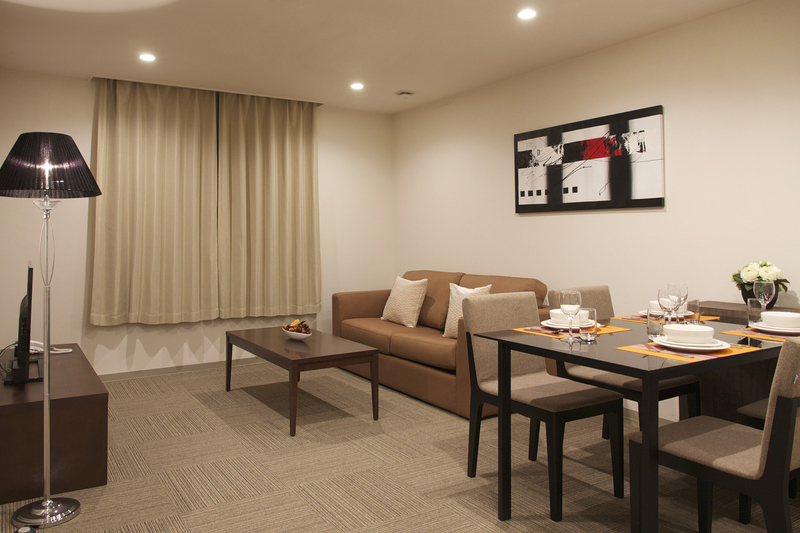 With a spacious area of 58 square metres (624 square feet), these units can comfortably accommodate up to four people. 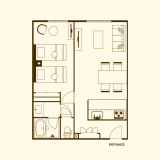 There is a separate living complete with sofa bed adjacent to the bedroom, bathroom with separate WC, fully equipped kitchen with a cooker, microwave, toaster and kettle, dining table set for four people. 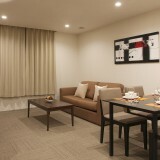 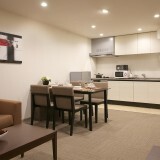 A flat screen television and free wifi are also provided in each unit.